You only have to look at how busy the coins section is on eBay to know that coin collecting is an incredibly popular activity. It's one of the most popular hobbies around and one of the most profitable too. Finding coins to collect is easy but finding ones that are actually valuable to collect is the challenge faced by most collectors. As a rule of thumb, the older the coins is the more collectible it becomes as often they are rarer than more modern coins. The best place to find Antique coins includes auction houses, coin shows, coin fairs, and malls. But if you are more serious you should visit historical sites where antique coins are more likely to be found. You should bear in mind that the value of Antique coins depends on where it from as well as the age and historical background of its origin. Therefore buying at the historical location gives you a very good advantage over other collectors. There are a few other pointers you might want to consider when buying an antique coin. Firstly make sure the coin you wish to purchase is original. This goes without saying but there are many replicas and even counterfeit coins flooding the market, so close inspection to validate their authenticity is a must. When you start off your coin collecting hobby, start slowly if you are on a low budget. Then as your portfolio of coins increases in value, you could re-sell some of it at a profit and buy more valuable ones. If you find a coin that you think is a valuable addition to your collection make sure that you find an appraiser that can determine the value so that you do not get ripped off. So don't try to value it yourself unless you are quite experienced, and seek the help of professionals when the circumstances dictate like when the coin is quite expensive. You need to specialize when you start collecting Antique coins so choose one particular era or country to focus on. This will make it easier for you to become an expert. You must also take good care of the coins to ensure you preserve their appearance and thus their value. And be careful not to clean Antique coins to excess otherwise you might actually depreciate their value. Coin collecting can really be a source of great fun and taking it up as a hobby is probably one of the best decision you can make. As long as you remain patient it will be a long-term hobby bringing you plenty of satisfaction for years to come as well as a very profitable investment. Coin collecting is a hobby that has been enjoyed since the 1800s, although it greatly increased in popularity during the early to late 1900’s. One reason why coin collecting is an activity enjoyed by so many individuals and individuals of all ages is that of purpose. There is a wide range of reasons and purposes for starting a coin collection. Five common types of coin collectors are highlighted below. Those who collect coins for-profits are commonly referred to as investors. Investors are individuals who collect coins with the sole purpose of seeing profits in the future. These types of coin collectors are also commonly referred to as professional coin collectors, as most are knowledgeable about coin collecting in general, including coin values and conditions. After all, a plain ole penny will likely not lead to profits in the future, but a rare or limited edition coin may. Another one of the many reasons why coin collectors who collect with the hopes of seeing profits are referred to as investors are because they are making an investment. Although it is possible to come across older, outdated, limited edition, and rare coins by chance, it is difficult, if not impossible, in many cases to do so. For that reason, many coin collectors choose to purchase coins to add to their collections. This is often done by examining professional coin dealers. Speaking of coin dealers, coin dealers, although highly debatable, can also be considered coin collectors. Coin dealers are regularly on the lookout for valuable coins. The only difference between coin dealers and other coin collectors is that many choose not to hang on to their coins for very long. Many want to turn around and sell these coins as quickly as possible to make a fast profit. Hobbyists are another common type of coin collector. Those who are considered hobbyists collect coins for the sole purpose of personal fulfillment. Hobbyists who collect coins often have a love for coins, history, or collecting in general. Many coin collectors who collect for the purpose of personal fulfillment later donate their coins to historical organizations or choose to pass their coin collections on to future family generations. While many coin collectors start out purely as hobbyists, many later change their goals to make a profit. As previously stated, many coin collectors choose to pass on their coin collections to family members and future family generations to come. The individuals who inherit these coin collections are technically considered coin collectors as well. This is due in part to the fact that they have a coin collection in their possession. Although many inheritors simply store and treasure the coin passed down to them, many make the decision to continue collecting, allowing the coin collection in question to continue to grow. Another common type of coin collector is that of a hoarder. Hoarders are individuals who collect just because, not necessarily for profits or for the love of coins or collectibles in general. Many hoarders collect any coins that they come across, as many are afraid to miss out on a great collecting opportunity. Although many coin hoarders will generally turn around and examine their collections and its value, many are not usually concerned with doing so at the time. The five reasons highlighted above are five reasons why most coin collectors collect. What type of coin collector are you? Is coin collecting an activity that you would like to start enjoying? Or, have you just recently started collecting coins? If you have, do you have hopes of creating a profitable coin collection that can later, one day be sold for profits or passed down to your future family generations? If you do, you should take the time to examine coin collecting in general. With that being said, be sure to place a large focus on coin collecting values, as coin values should have a significant impact on the worth of your coin collection. Although it is nice to hear that coin collecting values and researching those values is important to coin collecting, especially for profits, many are curious as to why that is. Of course, coin collections are invaluable until they are sold. With that in mind, not all coin collections sell and for amounts that collectors had hoped for. For example, a full collection of Statehood Quarters is likely to sell for much less than a collection of rare coins from the early 1900s. Unfortunately, many collectors do not realize this without first doing the proper research concerning coins, their values, as well as their conditions. To research coins and their values, it is first important to start with the basics. Coin collecting basics are extremely important to beginners and their success. The most important coin collecting basics, that concern value, includes never overpaying for a coin, even a rare coin, and never paying full value for a coin that is damaged or distorted. Following these basic tips can do wonders for a coin collection and its value. Additional research that you may want to do includes examining the exact values and conditions of coins. This is important right before you choose to make coin purchases, especially from someone other than a professional coin dealer. Many dealers are considered experts in the filed and will provide you with detailed information, including an exact value or a coin rating from the Sheldon System. In fact, this system and other popular coin rating systems are ones that you may want to examine. One of the best ways to research coin values or the Sheldon System is by using the internet. Online, you will find a number of great coin collecting resources at your fingertips. A standard internet search may lead you to rare coin dealers or other professional coin dealers, who may be operating with or without a specialty. Although many recommend buying coins of value in person, purchases can still be made online. If you take this approach, however, be sure to request pictures and detailed descriptions. Printed resources are another one of the many ways that you can go about researching and examining coins and their values. A number of printed resources can be ordered online or found in local libraries or bookstores. When examining a book that highlights coin collecting values, it is important to take date into consideration. Look for updated resources, as they are likely to provide you with the most valuable and accurate information. As a reminder, research is important to coin collectors who are collecting for the sole purpose of profits. With that in mind, researching coin values can also benefit you if you plan to pass down your coin collection to family members. Carefully keeping track of coin values can lead to profits for them in the future. Coin collecting is an activity that is enjoyed many, including individuals of all ages. In fact, coin collecting is more than just a fun and enjoyable activity; it is considered a hobby. This hobby is one that many people wish to enjoy and learn more about. 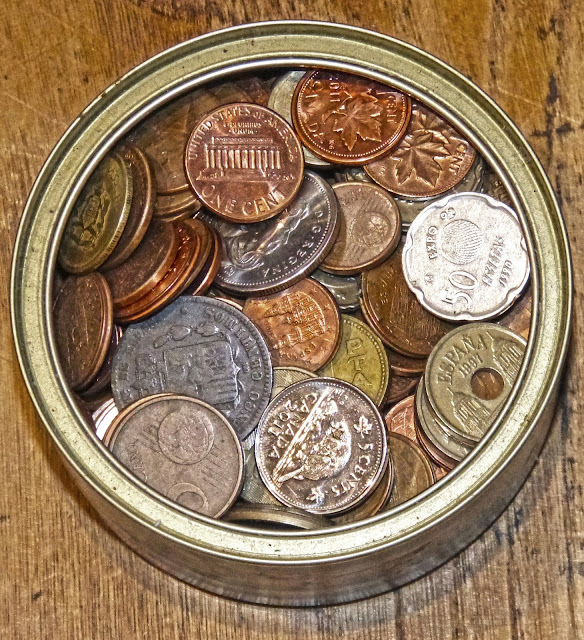 Please continue reading on for a general overview of the great hobby of coin collecting. 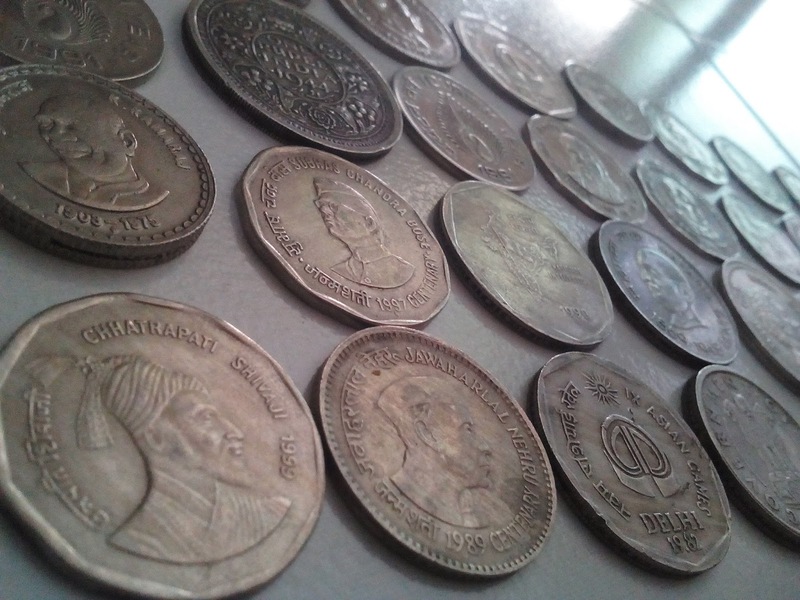 A photo of coin collection. By jiji john Mallasery. This hobby started from my early school days. The history of coin collecting can date back to when coins were originally issued. Coin collecting was commonly referred to in the past as the “Hobby of Kings.” This is due in part to the expense of coin collecting back in the older days. 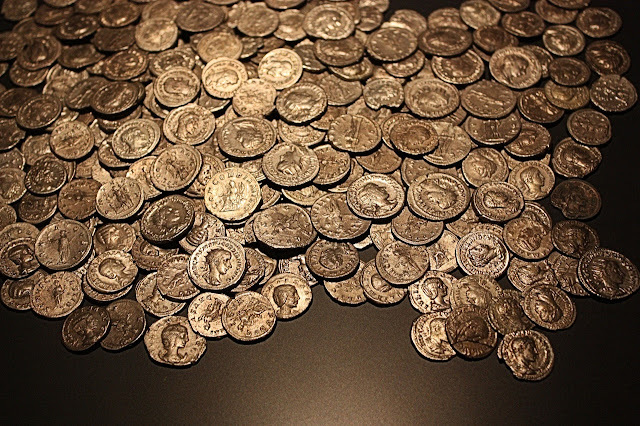 Many of the individuals able to coin collect were royalty, literally. As for more modern coin collecting, it took off in the early 1900s in the United States. Although coin collecting was enjoyed well before this point in time, its popularity increased drastically when it was clear coin collecting could be profitable. Coin collecting is considered a popular activity, as it is one that anyone can enjoy, including children. In fact, coin collecting is a hobby that many parents and professionals in the field of education encourage children to enjoy. In this sense, coin collecting can not only be profitable, but it can be educational as well. Also, coin collecting is a hobby that is relatively easy do. For many coin collectors, especially children, the startup costs are low or are non-existent. The purpose of coin collecting is another reason for its success and increase in popularity. There are five main types of collectors. These individuals include investors, hoarders, hobbyists, dealers, and inheritors. Those who collect coins for a hobby do so for personal fulfillment, not necessarily profits. Those who are considered inheritors often inherit coin collections from hobbyists. As for investors, they are in it for the money. Hoarders usually examine their coin collections for value, but many tend to just collect as many types of coins as possible. Another likeable aspect surrounding coin collecting is that of the supplies needed. Often times, little or no supplies are needed, especially for children or hobbyists. With that in mind, there are many benefits to using professional coin collecting supplies. The good news is that many supplies, including coin folders, coin albums, coin holders, and magnifying glasses, are affordably priced. The options that coin collectors have, when looking to expand their coin collections, are another reason for its popularity. Coin collectors have a number of different options when looking to expand their collections. Many hobbyists stay on the lookout for rare, limited edition, or older coins that they or those that they know may receive on a daily basis. Other coin collectors, especially those looking for rare or other valuable coins, often turn to professional coin dealers or the internet. In keeping with the acquisition of coins, coin collectors have freedom to collect whatever they want. While coin collectors looking to make a profits, also commonly referred to as investors, tend to stick to rare, outdated, limited edition coins, and other coins of value, there are no requirements to do so. Hobbyists, as well as children, tend to collect any coins that catch their interest, either in date, value, condition, or size. No specialty requirements are necessary; however, it may add to the excitement of coin collecting.